How many in your party for Monday, April 29th at 7:30pm at MAHMA? How many in your party for Wednesday, May 1st at 7:30pm at MAHMA? READ ON TO MAKE A DONATION OR SELECT A MEMBERSHIP! Yes! I would like to become a FOUNDER'S CIRCLE MEMBER of the Malibu Friends of Music and attend as many events as I would like (including all hospitality) without any additional donation, as well as two PRIVATE Founder's Events EACH Season. ($1000.00 per family annually). Yes! I would like to become a FRIENDSHIP CIRCLE MEMBER of the Malibu Friends of Music and attend as many events as I would like (including standard hospitality) without any additional donation. ($500.00 per family annually). BECOME A VOLUNTEER! As a volunteer for the Malibu Friends of Music, you and your guest are invited to attend concerts donation-free. How did you learn about our concerts? Would you like to be notified of future concerts and events? Please let us know if you need directions to MAHMA. The address is not listed on this website. Thank you for supporting the Malibu Friends of Music. Music can heal our world! 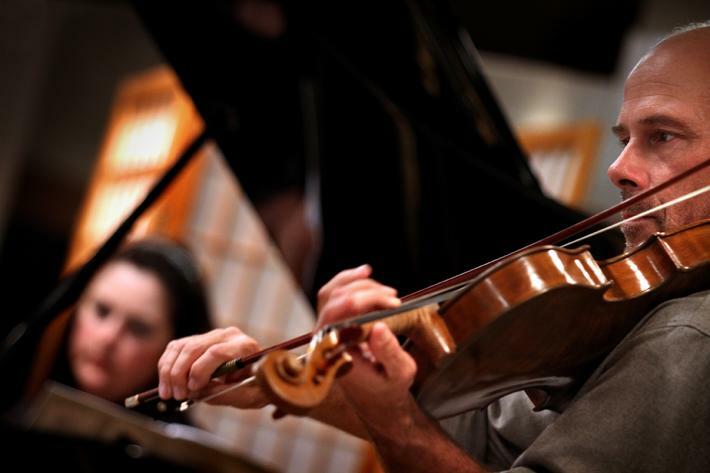 Please join us and become a part of keeping classical music alive and well in Malibu! Please fill out the reservation form above. Malibu Friends of Music Guest List. After the form above is sent, please look for the PAYPAL button at the bottom of this page, and click to submit your event ticket payment and tax deductible donation. Be sure to leave your current email and telephone number. The Malibu Friends of Music does not share information with any other organization. Your personal information will remain absolutely confidential! Our year-round, "Kairos Musical Soirees," "Special Events" and summertime, "Malibu Coast Music Festival," present a unique opportunity for all concertgoers and music lovers. Some guests have likened our soirees to 18th century European salon concerts in quality and charm: a one-of-a-kind experience! The "Kairos Musical Soirees Series," and the "Malibu Coast Music Festival and Special Events," bring internationally renowned chamber musicians, our Malibu-based professional chamber orchestra, esteemed soloists and distinguished speakers to Malibu audiences to perform in MAHMA's intimate and architecturally novel Malibu setting. We are actively seeking sponsors of any level with whom to partner in assuring the health of this spectacular experience. Of course, sponsorship and partnership are essential to insure the sound future of this fine and highly deserving non-profit arts organization. Take the time to peruse the benefits of sponsorship listed below, and make a generous gift to support the exceptional music and arts events, and educational programs, under the non-profit umbrella of the Malibu Friends of Music. The Malibu Friends of Music is a 501 (c) 3 non-profit arts organization. All donations are tax deductible as permitted by law. Make the Malibu Friends of Music your favorite non-profit arts organization! scope of our unique programming. All events year 'round (for you and your family/accompanying guests), including Kairos Musical Soirees and the Malibu Coast Music Festival, Special Events and Receptions, are included as a part of your current membership. --- Lovely Private Events for Founder's Circle Members are included. When requested, plush armchair seating is a benefit for Founders as well. All events year 'round (for you and your family/accompanying guests), including Kairos Musical Soirees and the Malibu Coast Music Festival, Special Events and Receptions, are included in your current membership. Your name (or name of an honoree of your choice) will be proudly published in each program, and on the Malibu Friends of Music Website, as a "Zuma Beach Circle Member." Your name (or name of an honoree of your choice) will be proudly published in each program, and on the Malibu Friends of Music Website, as a "Westward Beach Circle Member." Your name (or name of an honoree of your choice) will be proudly published in each program, and on the Malibu Friends of Music Website, as a "Leo Carillo Beach Circle Member." Your name (or name of an honoree of your choice) will be proudly published in each program, and on the Malibu Friends of Music Website, as an "El Matador Beach Circle Member." $25.00 per Individual Guest. --Guests may pre-purchase Single Concert Donation Tickets on-line (by PayPal), or at the door. **Please note that "Special Event" Donation Prices are subject to alternative pricing. what you might as the equivalent to a movie ticket. Make your tax deductible donation in any amount! Music, art, dance. A force of life for many of us. A needed escape for others. We must protect this resource that feeds our hearts and souls. The resource that inspires us to be better people and make more of our unlimited potential! The mission of the Malibu Friends of Music is to bring you world class artists from around the globe, and to provide outstanding live performances for all classical music and art lovers, in an architecturally renowned setting, right here in Malibu. But we do need your help. The Malibu Friends of Music, a non profit arts organization, began in 2002, offering private concerts to friends and guests. The concerts grew so popular, that the initial once-a-month event was changed to two and three times-a-month events, in order to facilitate the number of concertgoers requesting concert reservations. Now offering over 35 concerts annually of world class music here in Malibu, the Malibu Friends of Music provides its guests with extraordinary and intimate musical experiences that rival those of the most venerable organizations globally, featuring world renowned musicians, artists, film historians, choreographers, architects and speakers. We invite you to come and experience our classical world for yourself. Please make your tax deductible donation to the Malibu Friends of Music to keep these one-of-a-kind events coming. We thank you for your support of the classical arts! Please check this website often for any changes/additions to our concert schedule.